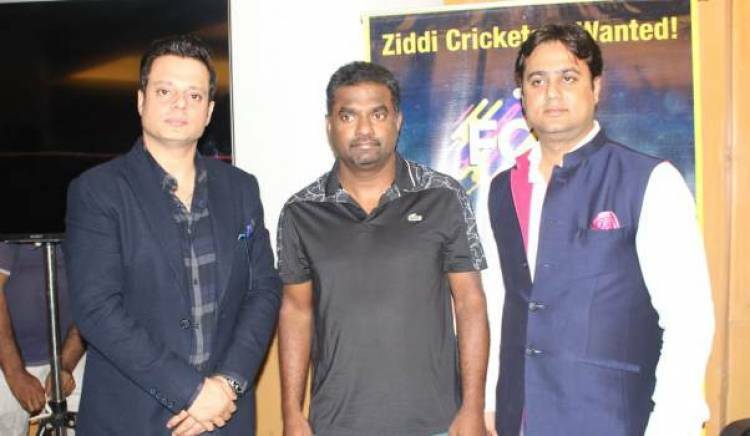 Chennai, February 09, 2019: Chennai has been introduced to the most awaited cricket league of the country, FeritCricket Bash(FCB). Chennai has a long history of producing cricket talent for the country, which has been consistently showcased by the Madras Cricket Club existing since 1848. This has led the founders of FCB to come and gather some great talent from here. FCB has come up after breaking all the odds to present a cricket league which will cater to the amateur talent all over the country. Now it depends on the people of Chennai to come forward with their passion for the game and take Chennai’s prestige in the cricketing world to the next level. The talent selected from here will get a chance to play for the Chennai badge team. FCB is a unique league for true cricket enthusiasts not held by age, competing to become a part of the 16 teams that will be selected after multiple sessions of rigorous trials and shortlisting processes. Once a participant is selected for the league it will provide a great boost to their career along with bringing fame to their city. The amateur cricket enthusiasts of Tamil Nadu above the age of 15 yearsarereceiving this once-in-a-lifetime opportunity to be a part of this exciting endeavour.The league is all set to offer these enthusiastic hopefuls a shot at playing in the finest stadiums, while being cheered on by their family and friends on live television. The future cricketers will also have the brilliant opportunity of being trained and mentored by renowned names in the cricket industry, like MuttiahMuralitharan, Chris Gayle, Zaheer Khan and Praveen Kumar. Muttiah Muralitharan, Int’l Cricketer andMentor at FCB, has said, “India has something in its soil to develop such a fine talent in cricket. India has given an enormous number of skilled players and changed the way people look at cricket around the globe. Now I am glad to mentor such young talent of the nation under FCB’s initiative for the country. FCB is providing a great new platform to the Chennai and the country's talent”. FCB is working on a game format that includes 15 overs, with one over played with an extra swing ball. It will be an amazing journey for the players as cricketing legends will be training them throughout the league and they will get massive exposure through FCB. The winning team will be given a chance to compete in a local club tournament at Australia. Apart from this each player from the 16 teams will receive a cash price of INR 1 lac each. The winning team will be rewarded with INR 31 lacs and the runners-up with INRRs. 21 lacs. The Ferit Cricket Bash is going to be conducted in July/August 2019. However, registrations and the selection process for Phase 1 have already begun. If you have your own dreams of glory and have cricket in your blood, be sure to log on to https://www.feritcricketbash.com/ or give a missed call on +91-98710-63063.